McMaster and Leahy are a pair of world-class fiddlers, now married. Photo courtesy: Mount Baker Theatre. 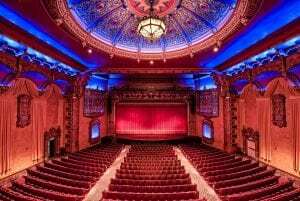 Mount Baker Theatre (MBT) is one of Bellingham’s greatest family entertainment destinations and this year they solidify that reputation with a series of performances by stunningly talented family acts. MBT will feature four acts who take the joys (and frustrations) of family life on the road. Can you imagine touring with your six brothers? How about your six children? You’re one of the family at Mount Baker Theatre. Photo credit: Damian Vines Photography. From the Jacksons to the Von Trapps, history abounds with musically talented families who work, live and play together. Whatever their triumphs and challenges along the way, these acts show a togetherness that other groups simply cannot; they take belonging to a place few of us will ever know. Togetherness is evident in their performances and brings a layer of magic unique to families; the way sister glances at little brother, that certain “mom look.” This year, MBT is showcasing these families in a beautiful way. So whether you want a place to take your family or are looking for an immersive experience, these shows provide all the love of family – without the stress of any problematic relatives. Los Vivancos promises a high-energy heart-pounding evening. Photo courtesy: Mount Baker Theatre. Seven brothers, Elías, Judah, Josua, Cristo, Israel, Aarón and Josué Vivancos, joined their talents in 2007 to form the dance company Los Vivancos. The company has performed nearly 900 times in venues around the world. Their newest show, Born to Dance, brings together the artistic collaboration of Daniele Finzi Pasca (director of Cirque du Soleil’s Corteo), with music director Fernando Velazquez. The brothers have stunned and electrified audiences on Dancing With the Stars and their performances have drawn standing ovations worldwide and nods from royalty. Fiddlers McMaster and Leahy tour with their six children. Photo courtesy: Mount Baker Theatre. Before uniting to form a family, MacMaster and Leahy were both world-class fiddlers in their own right. The pair quip about filling up their mantle with Juno and East Coast Music awards. And, in fact, the combination of playing together is nothing short of explosive. 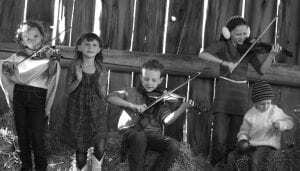 But what happens when two award-winning fiddlers marry, settle onto a Canadian family farm, and raise a family, while also touring and homeschooling six kids? They take their offspring on the road, of course. The couple’s kids – Mary Frances, Michael, Clare, Julia and Alec – perform parts of the show with their parents. Three-year-old Sadie will join in time. 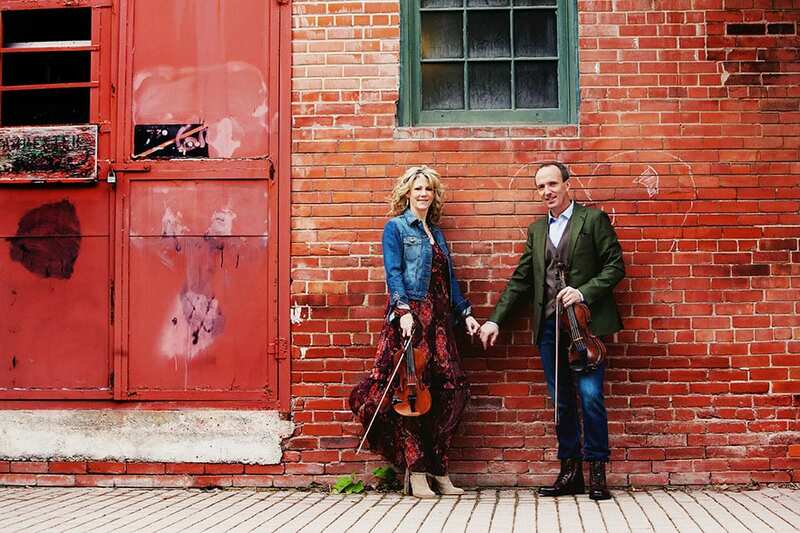 MacMaster and Leahy are both masters of the Celtic fiddle with its mind-blowing speed and breathless energy, and each bring something unique to the stage. While they play together for much of the show, they also let each astonishing performer take center stage. This is an opportunity to see two award-winning, world-class fiddlers in one evening – and have your expectations of Celtic fiddling turned upside down. The Hunts are a family alternative-folk group that offers haunting harmonies. Photo courtesy: Mount Baker Theatre. 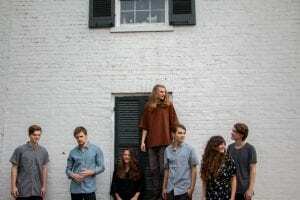 The Hunts are a group of seven siblings: twin sisters Jenni (violin, lead vocals) and Jessi (viola, banjo, vocals) with five brothers Josh (guitar, lead vocals), Jonathan (keys, vocals), Jordan (drums, vocals), Justin (bass, vocals), and Jamison (mandolin, vocals). Together, they bring special harmonies to an alt-folk style that is at once familiar and entirely new. Songs are original but have a definite folk flair that will keep any fan happy. They harmonize in a tender way that evidences their unique understanding of each member’s talents. It’s clear this family values one another. The Hunts have been touring and playing their brand of folk for 10 years to a steadily growing fan base. 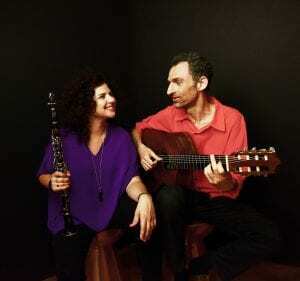 Anat Cohen has been hailed a virtuoso and her performance promises an evening of extraordinary jazz. Photo courtesy: Mount Baker Theatre. She’s animated, excited and ready to rock the clarinet in a way that few have ever even attempted. Virtuoso? How about jazz rock star. “The feeling you get of this massive amount of sound is extremely exciting,” she says. Cohen has recorded four albums with her brothers who play saxophone and trumpet. The music is exactly as she says – exciting. There’s a lyrical poeticism about the trill of the clarinet over the other instruments that’s thrilling and defies all expectation. This night is guaranteed to be rocking and sultry at the same time. It will bring tears to the eyes of any jazz lover. Watching families perform together ignites a contagious familial warmth that viewers can take with them. It also shows the wonder of genetics and the value of a close support system. It’s simply inspiring. For tickets to these or any MBT show, visit mountbakertheatre.com.